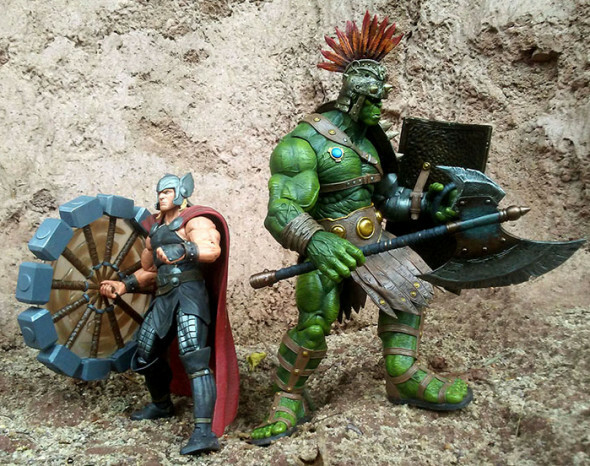 As the highly anticipated film Marvel’s Thor: Ragnarok heads towards theaters, fans have been hungry for more Thor products, including more of the Disney Store-exclusive Marvel Select Mighty Thor action figure. 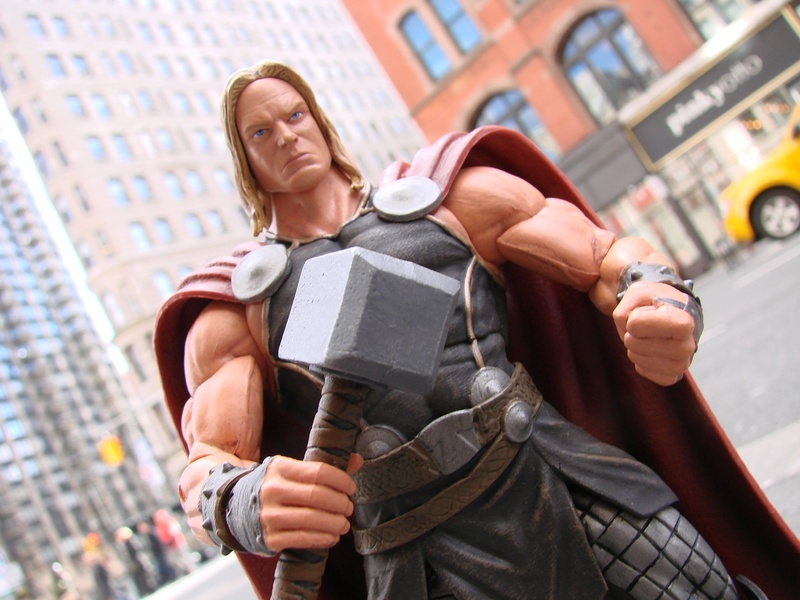 Now, with Ragnarok looming, Thor makes his prophecied return, alongside a brand-new, Disney Store-exclusive Marvel Select figure by Diamond Select Toys! 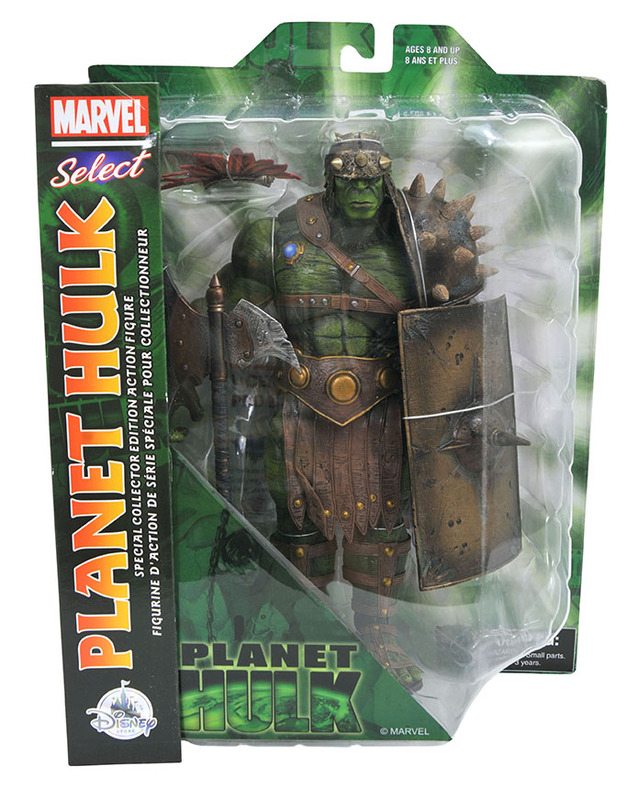 That’s right, Thor has brought a friend from work back with him, and Planet Hulk is landing on Earth in October! 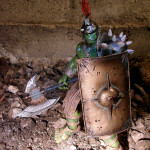 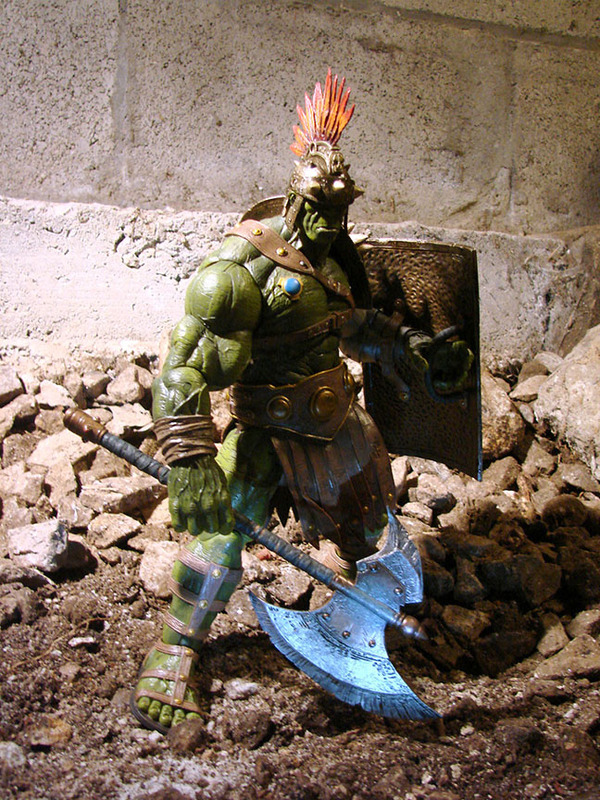 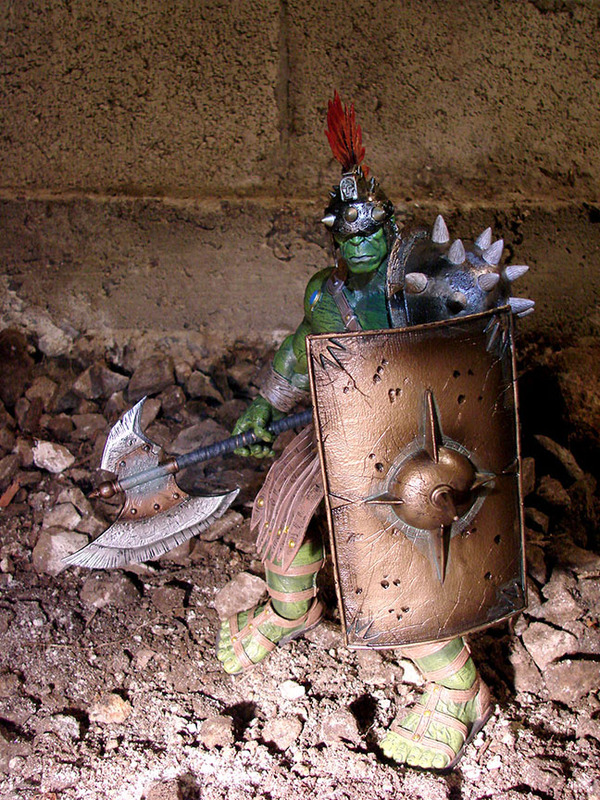 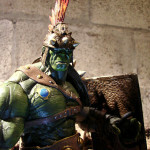 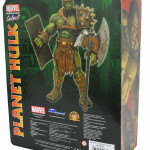 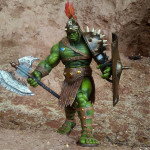 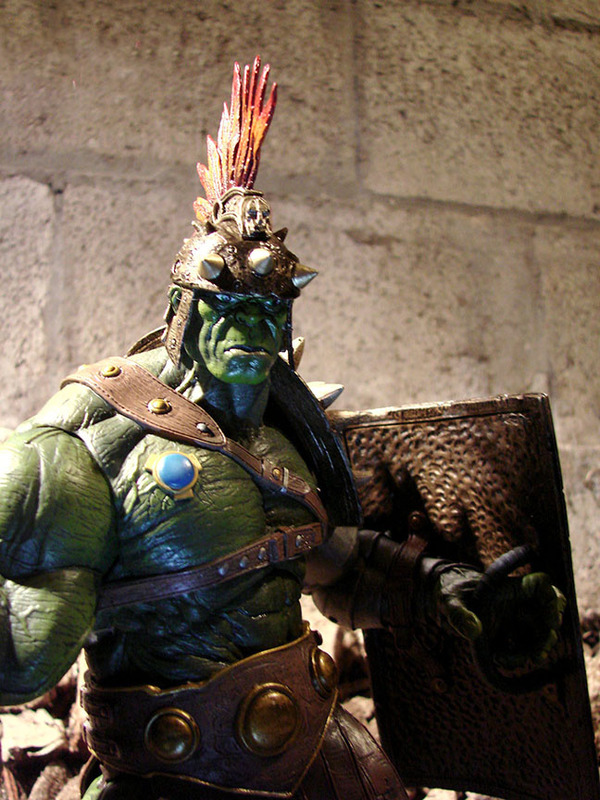 This exclusive figure of Planet Hulk depicts him in his gladiator armor from the character-redefining “Planet Hulk” storyline in The Incredible Hulk comics. 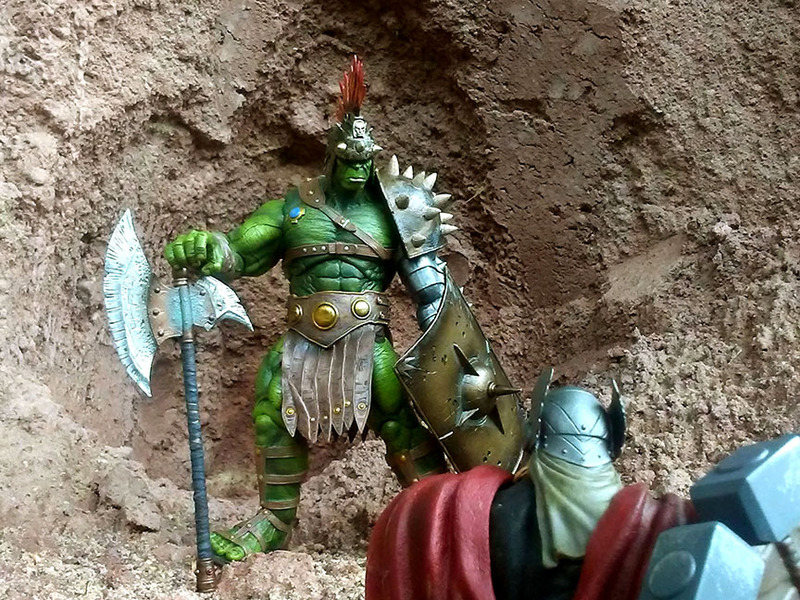 Rocketed toward an extra-terrestrial paradise by Marvel’s greatest heroes, Hulk instead crash-lands on the cruel planet Sakaar, where he is forced to fight in the arenas for the enjoyment of the crowd. 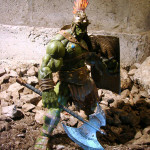 The figure stands approximately 10 inches tall (11.5 inches with his feather crest) and features 16 points of articulation, allowing him to strike a wide variety of combat-ready poses. 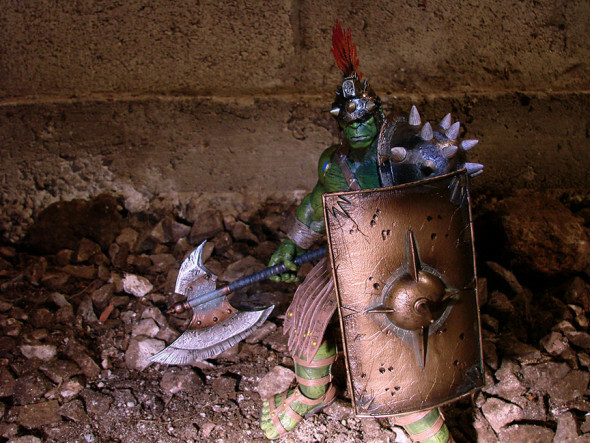 Accessories include an 8-inch-long battle axe and a 5-inch tall spiked shield. 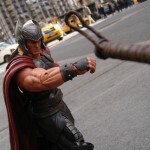 Wearing his Marvel NOW! 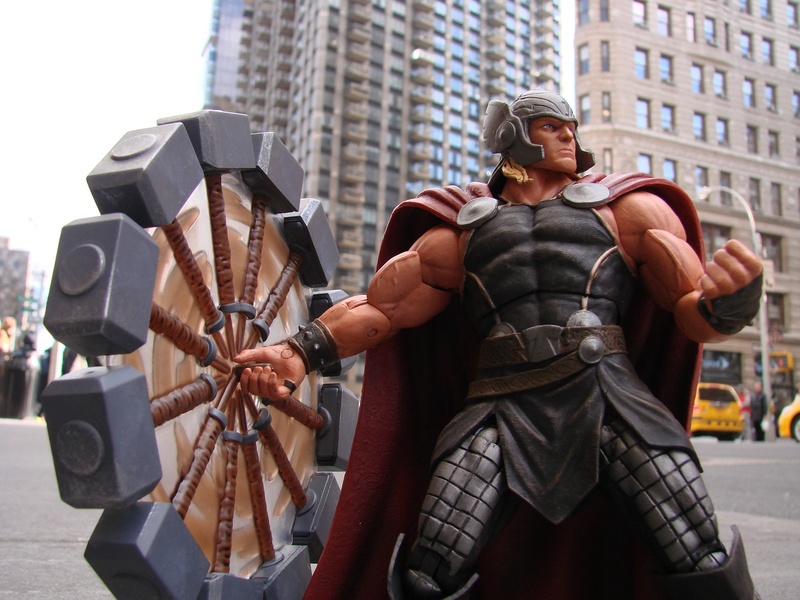 outfit, the Mighty Thor comes with his hammer Mjolnir, an alternate unhelmeted head, and a larger accessory piece representing his spinning hammer. 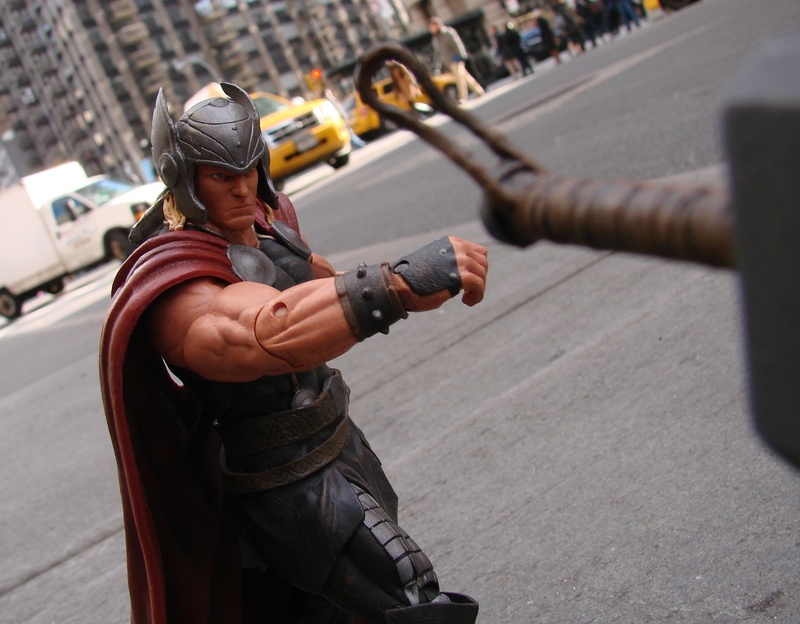 Plug it into his hand to make it look like he’s about to hurl Mjolnir into battle – or hurl himself into the air! 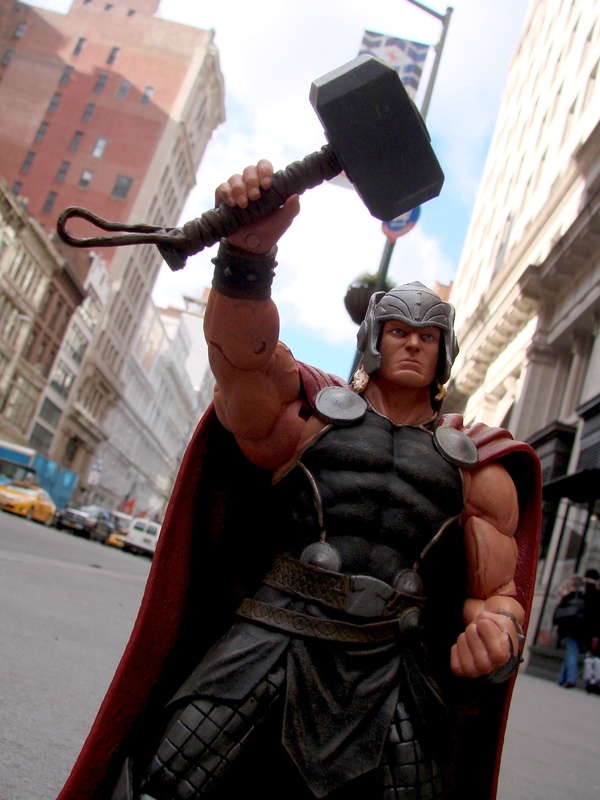 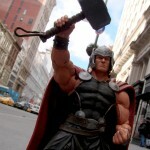 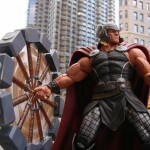 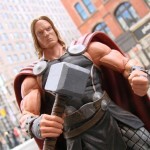 The Asgardian God of Thunder stands 8 inches tall with 16 points of articulation. 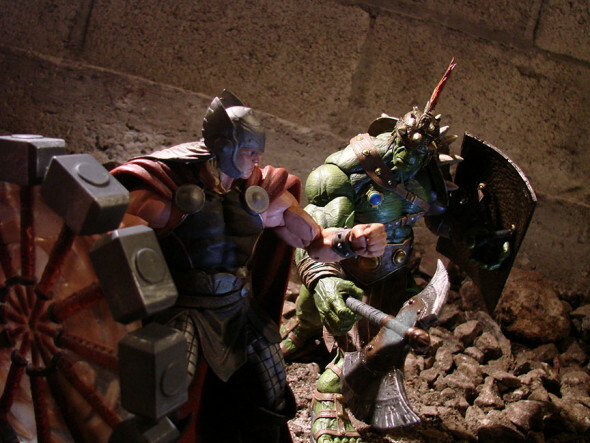 Both figures were sculpted by Gentle Giant Studios, and both come packaged in display-ready packaging with comic artwork down one side, for handy shelf reference. 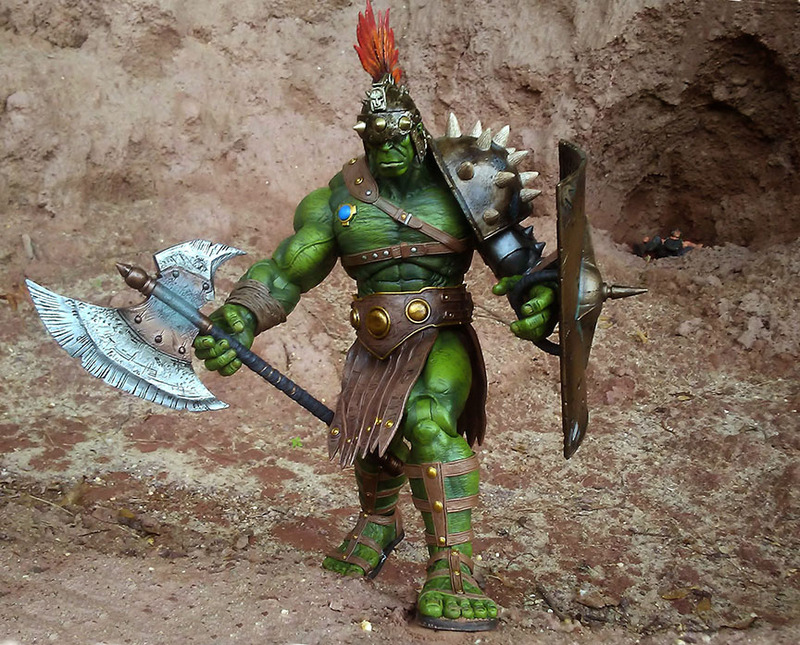 Pre-orders will open on September 12, 2017, at marvelshop.com and disneystore.com, and figures will be available at U.S. Disney Store locations by October 2. 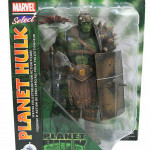 Later in October, the figure will also become available in European Disney Stores, as well as through disneystore.eu. 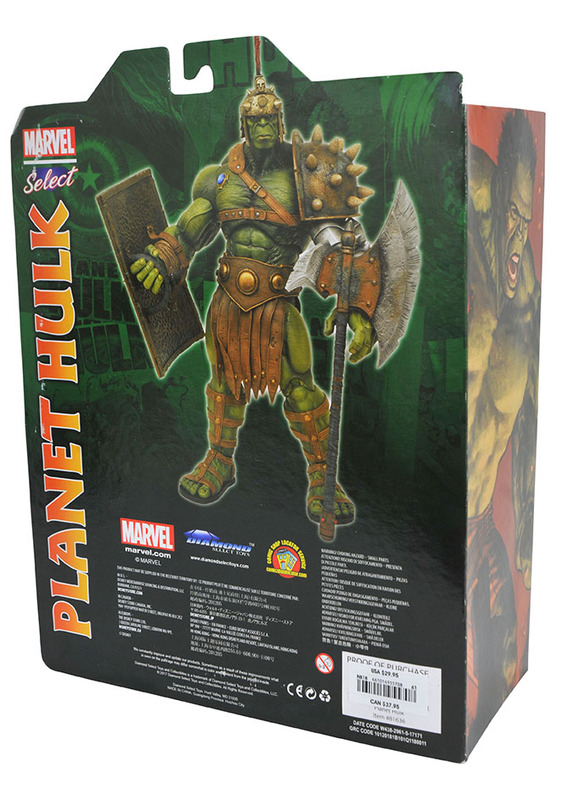 Mighty Thor and Planet Hulk join the roster of exclusive Marvel Select figures at the Marvel Shop and Disney Store, including Star-Lord, Groot, Drax, Gamora with Rocket, Spectacular Spider-Man, Avenging Captain America, Black Widow, Black Panther and Bleeding Edge Iron Man. 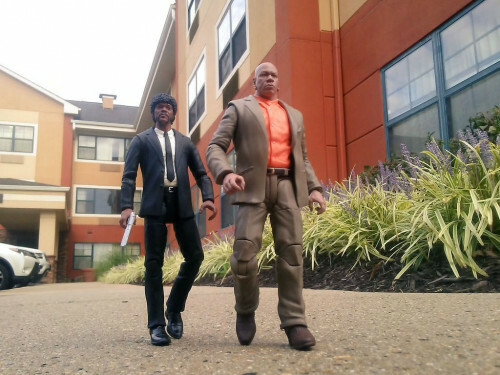 Next Up: In Stores Now: Catwoman, Nightmare and Pulp Fiction!